The US Dollar (USD) inched lower against the Canadian Dollar (CAD) on Monday, decreasing the price of USDCAD to less than 1.3100 following some key economic releases. The technical bias remains bullish because of the lower high in the recent downside move. As of this writing, the pair is being traded around 1.3010. A support can be noted near 1.2964, the trend line support level ahead of 1.2886, the 23.6% Fib level support level and then 1.2781, a major horizontal support as demonstrated in the given below chart. 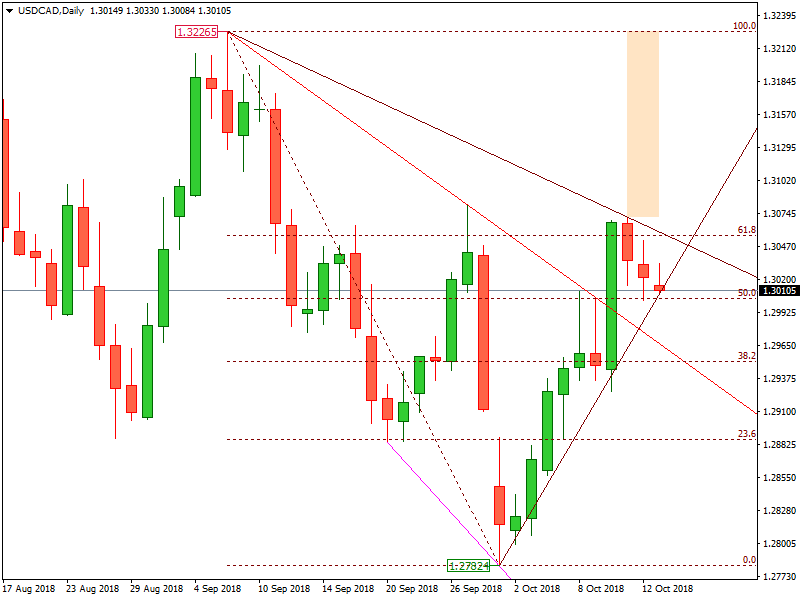 On the upside, A resistance can be noted around 1.3056, the confluence of a trend line and a major horizontal resistance level ahead of 1.3100, the psychological number and then 1.3225, the major horizontal resistance as demonstrated in the given above chart. The technical bias shall remain bullish unless 1.2951 the major horizontal support level remains intact. The employment change rate in Canada remained 63.3K in September, as compared to -51.6K during the month before, up beating the economist expectation which was way low as 25.0K, the data is taken from the news released by Statistics Canada. The entity measures the number of people remained employed over a due course of time. Generally speaking, a positive reading in the employment data rate is considered as bullish for the Canadian Dollar (CAD) and vice versa.